All of us endeavor to ensure that our dogs look their best at all times. For this purpose, it is important to pay attention to their cleaning and grooming. When you groom your dogs at all times, you will find that even they feel good, and a positive change can be seen in their personality. Furthermore, this also ensures that the health of the dog is maintained. This is because when you groom your dogs, you also get the opportunity to check for lumps or other problems that might be present so that the problem can be detected at an early stage and timely intervention is sought. This is what makes having the best dog grooming tools so important. Certain tools can be of use to you if it is grooming that you have in mind. You need to perform tasks like brushing, nail clipping, and cleaning for your dogs. For these tasks, there are tools available which can make things easier for you. It is important to understand that your pets are your responsibility, so you need to ensure that they do not incur any harm. Hence, the tools that you select for the purpose need to be such that they would be comfortable for the dogs and would not subject them to any sort of pain. 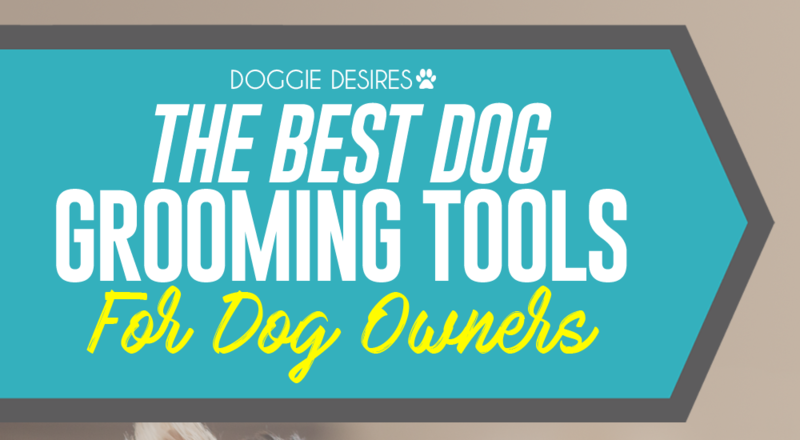 We are going to shed some light on some of the best dog grooming tools that you can find on the market, which you can use to make it a whole lot easier to take care of your dogs. One thing that you need to keep in mind is that different dogs have different coat types, so their grooming needs to be done accordingly. Some dogs have an oily coat, so they require frequent baths, while others have too many hairs, which need to be managed accordingly. Those with longer fur or with fur prone to matting would need a lot of de-matting, while the dogs that have heavy nails would require trimmers to keep them groomed. Thus, the best dog grooming tools for you would depend on the breed of dogs you have. We are going to take a look at some of the best grooming tools that could be of use to you. You’ve got to make sure your pup looks and feels his best. Protect his insides with pet Bounce Multivitamin! This is perhaps the most integral part of dog grooming. If you want to ensure that your dog remains clean and looks beautiful, you will have to pay exquisite attention to its coat and fur. Let us take a look at some of the tools that can prove to be of help in this regard. This is an easy-to-use brush which is provided with rubber nubs. If you are worried about hitting a tangle while you are grooming your dog and wish to make use of something which cannot inflict pain on your pet, a rubber friction brush would be the perfect option for you. When you use a rubber brush, you would not have to be worried if you need to brush hard since it cannot harm the dog. This is another option that you have. These brushes are found to be quite soft and prove to be gentle on fur. They are manufactured using natural material and do not lead to static buildup. Metal Comb is one of the best dog grooming tools for the dogs that do not shed. With these brushes, you can manage the kinks on dogs with single coats. Combing small sections at a time would make it easier for you to deal with the tangles. You will find de-shedding combs that are equipped with blades on the market. You can use them to remove the shed fur with ease. Another option that you have to remove the loose fur from the coat of your dog is a shedding blade, which is similar to a looped hacksaw blade and is equipped with a handle for easy use. It is found to be highly useful for grooming coats of dogs that are long haired or have double coats. These brushes are designed specially to deal with tangles. This is among of the best dog grooming tools for well and curly coated dogs. It is manufactured of fine wires that are spaced close together and are effective in removing mats and shed fur. Now that we have discussed the various types of brushes available on the market, let us take a look at some of the options that you will find. This is one option that dog owners seem to love. You will find that a lot of dog owners prefer to use this product as it makes it easier for them to care for their dogs’ hair. Another benefit that it has is that it does not take up a lot of time. With this brush, the natural shedding process of the dog is speeded up and all the matted hair can be removed within a short span, therefore making it one of the best dog grooming tools to must have. The product is designed for the benefit of the dogs, so you do not have to worry about it harming them. It penetrates deep into the coat of the dog while ensuring that there is no skin irritation or burns that the dog has to face. This is another product which enjoys immense popularity among dog owners and thus making it one of the best dogs grooming tools to have. One reason for its popularity is that it is quite easy to clean. All that you would need to do is release the brush blade and clean it using a damp cloth. This can be used on dogs that have short, medium or long hair. The brush is manufactured from stainless steel and is designed in a way that the skin of the dog is protected. It is equipped with a protective cover that makes sure that the product remains in optimal condition. It is provided with a sturdy construction and is likely to last for a long time. If you want to make your work easier and make your dog shine, a hound glove is something that can prove to be value to you. It makes your work a whole lot feasible. All that you would need to do is slip it on before petting your dog, and it will perform the task of brushing the coat of the dog while at the same time adding a bit of shine to it. This is one option that quite a few dog owners prefer. It is manufactured from rubber, and you can be confident that it would be highly gentle on the skin of your dog, thereby ensuring that it does not have to undergo any pain while you groom it. When we talk about best dog grooming tools, bathing tools are an important part of it. Many people tend to use their own shampoo while cleaning the dog. This is not a good idea as the shampoo can dry the skin of dogs. You should make use of shampoos that are formulated especially for dogs. This is one option that you have. It is heavily scented and is devoid of any chemicals that can harm your dog. Therefore, you can use it with a lot of ease and feasibility. This is important when it comes to grooming since long nails are hazardous not only for dogs but also to those around them. Therefore, you need to ensure that you keep the nails of your dogs trimmed at all times. This is a product that makes it easier for you to trim the nails of your dog. It is provided with a rotatory action that offers you a safe and effective way to trim the nails of your dogs. It is equipped with two rotation speeds that ensure that you have a lot of control over the way you trim the nails. It is provided with the feature of cordless operation so that you get optimal control while using it. To ensure that you do not become a reason for any harm to your dogs, you need to be rather careful of the products you use to take care of them. You need to select the products after careful research. If you are unsure of how to groom the dog in an effortless manner, the Dog Grooming Guide by Margaret Stefan can be of help for you as it will provide you with all the information that can be of use to you. One thing that you will need to ensure is that the products you use are suitable for the breed of dogs that you have.